Christopher E. Powell speaks with America’s Anti-bullying Coach Travis Brown. As a top motivational speaker, Travis acquired the name “Mr. 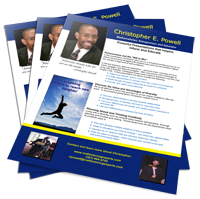 Mojo” for his high energy, intense content and captivating speaking style. 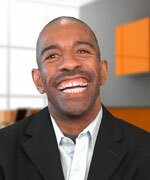 He has delivered over 1,600 hours of motivational presentations to companies and youth nationwide. On his anti-bullying tours, Travis has impacted the lives of nearly 700,000 students in the United States and abroad. He is also called on to bring motivation and inspiration to professional athletes and sports teams including the Pittsburgh Steelers, Chicago Bears and Cleveland Browns. Currently, Travis is recognized as America’s Anti-bullying Coach for his tireless work to fight the social epidemic of bullying and change the lives of today’s youth. The Mojo Up Anti–Bullying Tour has created a unique way for Travis to connect to students with his life changing anti-bullying message: You Make A Difference! While students across the country are taking the pledge to Mojo Up (www.facebook.com/mojoup), the effort continues to inspire schools and communities to make an impact on the anti-bullying movement by touching the lives of students that are bullies, victims or bystanders. The driving forces to change the culture are the concepts of the Leaders Taking a Stand Against Bullying program.